More than a hundred new spas opened within 2 years, Hoi An is having an exceptional expansion when it comes to beauty salons. It’s a little bit mad really, the expansion doesn’t seem be slowing down and it’s getting more and more difficult for tourists to chose. Very often, the masseuses have no training in this profession which can frequently lead to surprises as I have myself experienced since I live here. 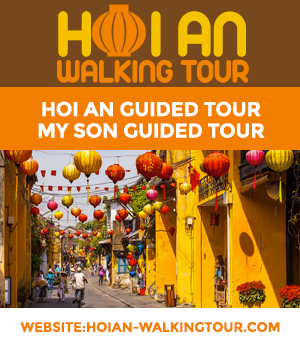 The low end of the market offers is king in Hoi An and if you want cheap prices the choice is unlimited but if you are actually looking for a good spa the choice is very limited. There are also a few problems (Theft being a common one) with a few spas often recommended by French speaking forums such as Voyage-forum and ‘Le Routard’. Things to know: Most of the spas have only few staff and often call staff from outside, the quality of the service can be very random. One day, the service can be excellent and another, a disgrace. This spa is one of the most reputable ones in Hoi An eventhough it is not the cheapest option, the service and the massages are very good and you won’t have any bad surprises. Here, the focus is more on the up market in terms of care. It is located in the backpacker area. Here as well the massages are top notch and so is the rest. The masseuses are trained and we can easily notice the difference with most of the competition. There are 3 Na Spas in Hoi An but I would strongly recommend a visit to their outlet on the rice paddies. Part of Essence hotel, this spa is starting to build its reputation in Hoi An thanks to its great customer care. The staffs are very professional. The venue is quiet.